Jeffersonville, Indiana is one of the nicest places that you can possibly call home or be lucky enough to visit. It’s located directly on the Ohio River and is just north of Louisville, Kentucky. There’s so much to see and do in and around the city, including the Howard Steamboat Museum and the Falls of Ohio state park. With all of the wonderful outdoor marvels to see and do, you definitely do not want a toothache to rob you of that time or slow you down. Since Jeffersonville is a town that has always grown due to its prime location along the Ohio River, you won’t need to worry about there being any shortage of dentists there for you to see. 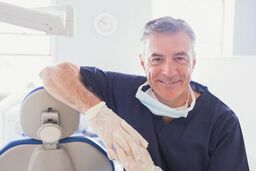 No matter the type of dentist that you need, Emergencydentistsusa.com will be able to quickly assist. Within seconds, you’re able to view available dentists in Jeffersonville and you can see their hours, the types of insurances that they accept, and some of the services that they perform. If you don’t have access to the Internet, have no fear. You can simply call our toll free dentist finder hotline and one of our friendly agents will be glad to assist you. Once you’ve determined the office that you would like to visit, the agent can set that appointment for you and also provide you directions straight to your new dentists’ office. As with any new doctor or dentist, you’re going to want to arrive 15 to 20 minutes early for your first appointment. This is because all offices have new patient paperwork for their new patients to fill out. Make sure you also bring a valid ID, your insurance card if you have one, a list of any current medications that you’re taken, a list of allergies, and any copay that will be due at your time of service. Jeffersonville, Indiana offers a variety of dental offices for their residents and visitors. No matter what you need to be seen for, there will be someone available that can take care of you and treat your situation. From periodontists to oral surgeons, you will have no problem receiving treatment if/when you need it. Description: Mortenson Family Dental proudly offers the city of Jeffersonville, IN and the surrounding communities affordable dental prices. They are a general dentistry that specializes in one-on-one care with each of their patients. The professional and caring staff make this office a great choice when you’re looking for a new dentist. Description: Dr. Kirchner and his team are ready to assist you and your family with comprehensive dental solutions. They will provide treatment for any problems you may have and will also teach you preventative solutions to help you going forward. They want every patient to leave with a beautiful smile. Description: Dr. Shoemaker and her team enjoy providing their patients with the best dental care possible. They take time to get to know each of their patients and offer them treatment plans that will work best with their schedule and their budget. They want to ensure each patient has a stress free visit and leaves with a dazzling smile. Any time that you’re experiencing mouth pain, it is important to have it quickly checked by a professional. If you’ve experienced any type of trauma to your mouth, then be sure to go to a regular doctor prior to going to the dentist. If you’ve been involved in any type of accident, they will need to first rule out broken bones and concussions. Once you’ve done that, it’s safe to go to your emergency dentist. They will be able to assess what has caused the problem or the pain if you haven’t experienced any type of trauma. Whenever you go to any type of new doctor or dentist, you should always verify that their credentials are up-to-date. Most patients prefer to do this when they go in for their first appointment. However, if you’d like to do your homework prior to your first appointment, you can simply type in your doctor’s name on the Indiana Dental Association website and view your new doctor’s information and credentials.